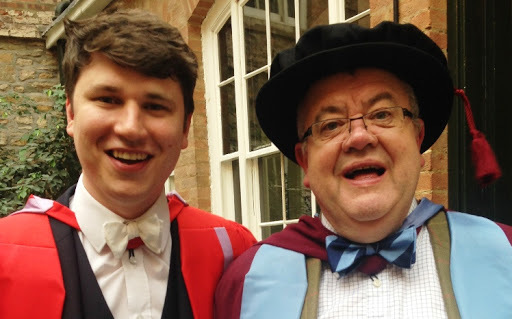 Jonathan completed his PhD (Historical Musicology & Analysis) at the University of Durham on the British composer Herbert Howells (1892-1983), under the supervision of Professor Jeremy Dibble. His thesis is entitled ‘Experiments with Sonata Form’: A Critical Study of the Absolute Music of Herbert Howells and Its Place in Modern British Music’ (abstract below). In addition to his thesis, Jonathan also produced a completion of Howells’s Cello Concerto which is now published by Novello and has been recently recorded by Dutton Records. He is currently working on a biography of the composer. Please do get in touch if you have any Howells related queries or information. The Music of Herbert Howells (published by Boydell & Brewer), to which Jonathan contributed, may be ordered here. ‘Herbert Howells’s Organ Works? Critical reception, performance practice and the case for reappraisal.’ was published in Volume 37 of the Journal of The British Institute of Organ Studies (December 2013). ‘Beauty Springeth Out of Naught’: Interpreting the Church Music of Herbert Howells was published online within British Postgraduate Musicology, vol. 11 (December 2011) – available here. Jonathan writes programme notes regularly for performances and recordings of music by Howells and other British composers. Do get in touch if you need some notes. His most recent set was for David Newsholme’s fine disc of organ music – Howells from Salisbury. Taking its title from an essay (now lost) by the composer, this critical study evaluates and contextualizes the substantial volume of absolute music that sits outside the body of well-known church music for which Herbert Howells (1892-1983) is celebrated today. Within a narrative which is both analytical and historical, it traces and examines the essentially empirical development of his compositional processes, techniques, models and stylistic influences in detail for the first time and places it within a structure of three creative periods. 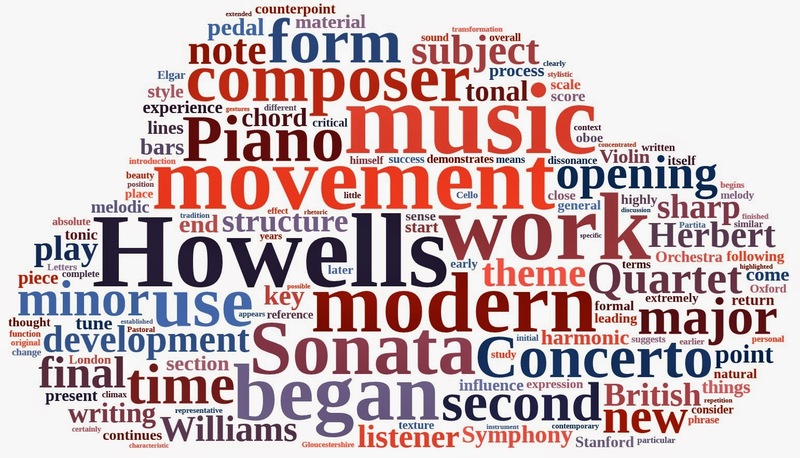 In particular the study devotes attention to Howells’s manipulation of formal principles across a range of instrumental genres – the solo sonata, the suite, concerted chamber music and concerto – and explores the composer’s intellectualist predilection for structural compression and conflation at various architectonic levels. The discussion also focuses on Howells’s use of tonality and its intrinsic, generative interrelationship with thematic material. Ultimately a case study in modernism and the British creative imagination, the thesis also examines aspects of Howells’s reception history, the death of his son and the substantial BBC lecture series ‘The Modern Problem’, all three elements of which provide significant illumination of Howells’s complex development as an instrumental composer, his musical Weltanschauung, his attitude to European contemporary music and how this adds significantly to a commentary on his own stylistic formation during a fragmented twentieth century.